Ever since the launch of Xiaomi’s Redmi 5 and Redmi 5 Plus smartphones in China, there has been a lot of speculation surrounding the launch of the next Redmi Note smartphone. Now, it looks like Xiaomi is finally putting an end to this debate. 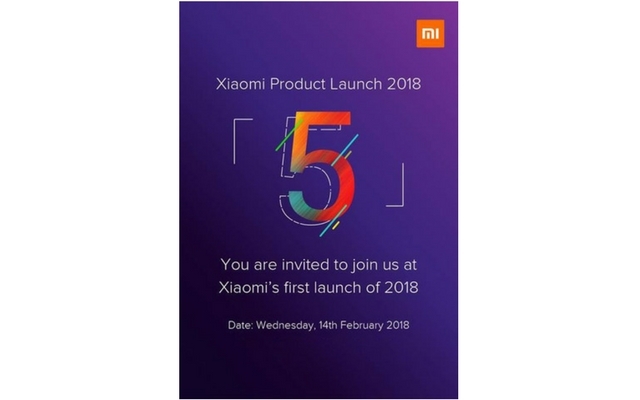 The Chinese manufacturer sent out invites to the media for a launch event on February 14 in New Delhi, and according to our source familiar with the developments, Xiaomi will be launching the highly anticipated Redmi Note 5. As you can see from the image attached below, the press invite talks about a launch event that’s scheduled to happen on February 14 with a big “5” written on it. Considering the fact that Xiaomi’s Redmi Note 4 is still the company’s most successful smartphone in the country, it makes a lot of sense to launch its successor instead of Redmi 5 or the Redmi 5 Plus here in India. Although we don’t have a lot of info about the specs the Redmi Note 5 will carry, it isn’t that hard to make a few educated guesses. We already know that the smartphone will debut with an 18:9 screen. The company is said to be launching two variants of the smartphone. One will run on Snapdragon 630 SoC coupled with 3GB RAM & 32GB internal storage, whereas the other one is said to be running on Snapdragon 636 SoC and coupled with 4GB RAM and 64GB storage. Coming to the software side of things, the Redmi Note 5 will run the latest version of MIUI, i.e., MIUI 9; however, it remains to be seen if it will be based on Nougat or Oreo. Pricing is also something that we are intrigued to find out. We really hope Xiaomi will go for aggressive pricing just like they did with the Redmi Note 4.